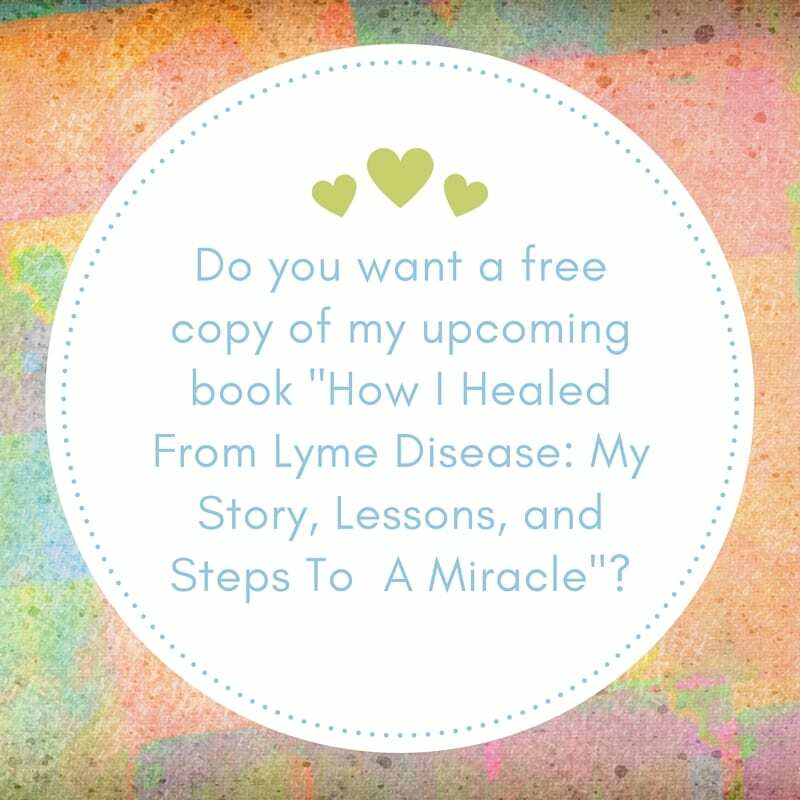 I’ve been working on a short eBook “How I Healed From Lyme Disease: My Story, Lessons, And Steps To A Miracle”. Because I receive so many emails from people asking what I did to heal from Lyme, I thought I’d write a quick and easy read to help them. I’m excited to announce it will be out on Amazon very soon! My beta readers tell me it’s a compelling story and applicable to any illness. If you’d like to read it, I’d love to send you a copy. In return, I’d love your help in letting others know about it and widen its reach. Here’s how. One of the most important things an author can do for their book is to launch it on Amazon with a lot of customer reviews. All I ask is that you leave your honest feedback as a customer review on the day it launches on Amazon. Each review is precious to an author because it helps a book gain more visibility and traction with Amazon’s algorithms. May I send you a copy of the book to read? It’s not very long at all — 30 pages. I’d be ever so grateful to you. And you’d be helping people out there who are looking for solutions to heal from Lyme and other illnesses. I’d be happy to send you a PDF of the book if you think you’ll be able to read it by end of July. It’s a really quick read and a great story. One beta reader said she thought she’d read just 2-3 pages one night but couldn’t put it down! If you’d like to read “How I Healed From Lyme Disease”, just reply to this email and I’ll send you the PDF. And I’ll let you know once the release date gets close (probably around August 1) so you know when to write the review.